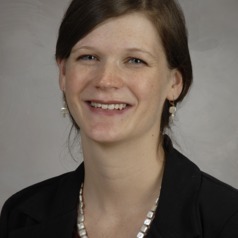 Dr. Janelle Montroy is an Assistant Professor of Pediatrics at the Children’s Learning Institute at the University of Texas Health Science Center at Houston. She earned her doctorate degree in Human Development and Family Studies with a concentration in Child Development and her master’s degree in Psychology with a concentration in Cognition and Cognitive Neuroscience from Michigan State University. Dr. Montroy’s research reflects a combined focus on early academic and school readiness skills, such as self-regulation, as well as the improvement of the assessment of these skills. One prominent theme in her research is the recognition that the process through which children attend to and remember information as well as inhibit inappropriate responses (as measured via assessments of children’s self-regulation) affects their ability to access and ultimately learn new academic skills. In addition to her interest in the development of children’s early school readiness skills, she is also interested in improving the measurement of these skills by evaluating and improving current measures through Rasch and IRT measurement techniques. At the Children’s Learning Institute, Dr. Montroy works with the Data Analysis Working Group (DAWGs), where she helps run analyses and provide statistical support for several grants. Additionally, and in collaboration with several colleagues, she is evaluating and developing the self-regulation sub-section for the Texas Kindergarten Entry Assessment. Dr. Montroy is a member of the Society for Research in Child Development and the Society for the Scientific Study of Reading.